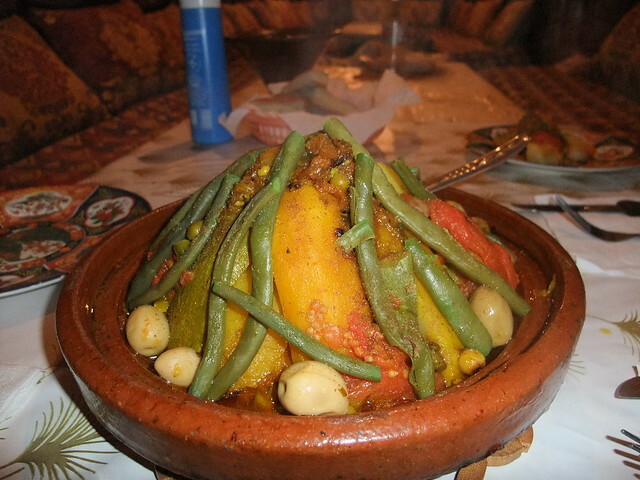 On first glance, food in Morocco can feel like quite a challenge for young stomachs. Prolific use of spices such as cumin, strange and unfamiliar smells can be a worry for children already in a slightly different environment. 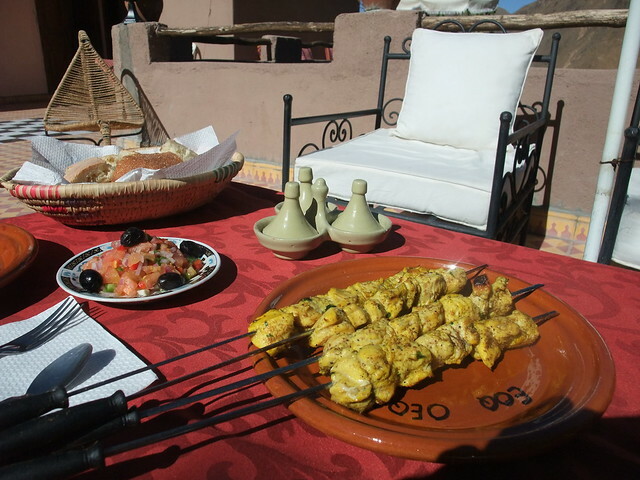 However, Morocco is a very child friendly place and hidden in the menus are plenty of foods and tastes that young stomachs will enjoy. If you have time before you go away, it might be worth introducing some of the flavours and textures at home, so that your children have had a chance to try them in a familiar environment. Experience shows that whilst children may resist and complain about different food when they are away, when they are truly hungry they will eat and it can be very gratifying watching your child who won’t eat tomatoes at home, eating them on holiday because they are the only ‘normal’ things being served up. If you are travelling during Ramadan, then please remember that most locally run restaurants and cafes will be closed during the day time. This does not apply to tourist restaurants and hotels, where it will be business as usual. Breakfasts served in the riads and hotels are generally of the international variety and one of the easiest meals to enjoy with children. Children are typically served hot / cold cocoa whilst adults enjoy tea or coffee. Orange juice is also served – most usually the freshly squeezed variety, with ‘bits.’ To eat, you normally have breads and jams, often accompanied by patisseries and / or eggs. The type of breakfast will vary from place to place, but if your children are struggling with the exotic jams, you can easily get hold of strawberry jam or nutella in the local shops. Eating out with children in Morocco is very easy. Children are welcome almost everywhere, the exception being some of the high end tourist restaurants. For the most part, children’s meals are not widely available, but it is entirely acceptable to order a dish to share. 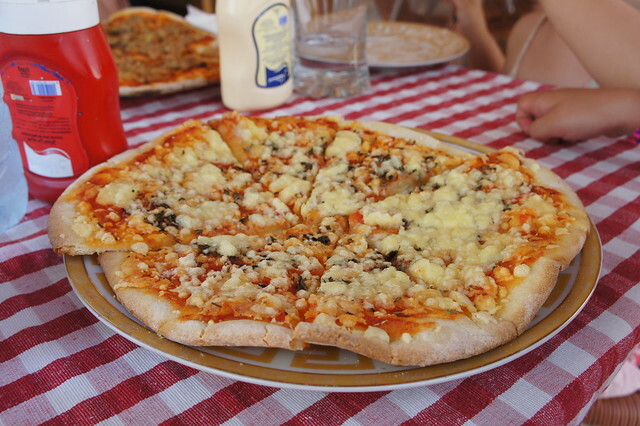 In larger towns, you will find retsuarnats and cafes serving more recognisable fare; pizza, pasta and ice cream. If pasta isn’t advertised on the menu and you are struggling to find something that your child will eat, you can always ask if they have any. 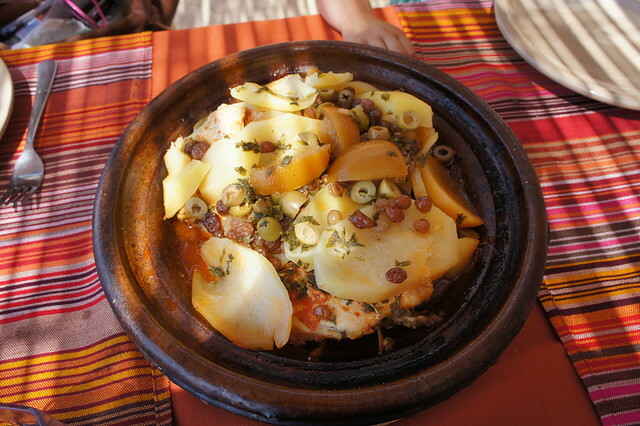 One of the staples of Moroccan cuisine is tagine, a type of stew made with beef, chicken, lamb or fish with seasonal vegetables. This is remarkably similar to a casserole or stew and young children tend to particularly enjoy the chicken version, served in a lemon and olive sauce. Tested by one of the world’s fussiest 5 year old eaters, this dish has been proclaimed ‘normal’ - high praise indeed. Other easy to come by dishes include chicken and chips and brochettes (grilled kebabs) again served with chips. Most restaurants and cafes have ketchup, so this is often a good back up meal for nervous eaters. Cous cous is another popular option for some children. This is usually served with a gravy like sauce and seasonal vegetables. Waiting staff will often be happy to serve the sauce separately for children. All meals are served with bread so, at the very least, children can fill up on this.